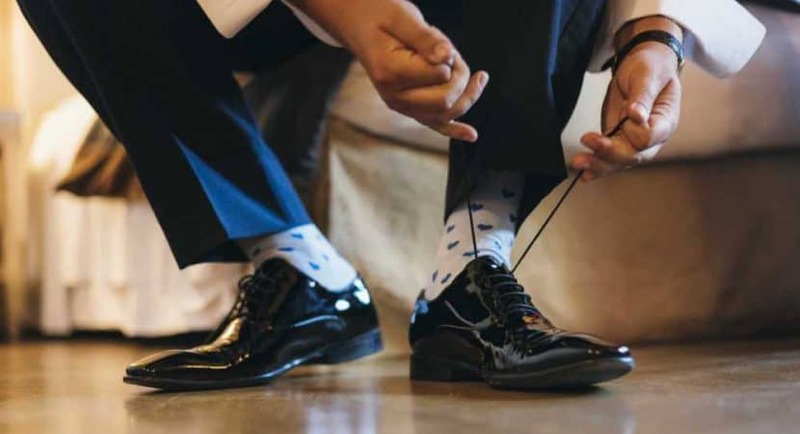 If you’re looking for a stylish pair of dress shoes which can be worn on a variety of social events, then look no further. Coming from a trusted manufacturer, the J's.o.l.e Men's Oxford Dress Shoes come integrated with all the design features which one could expect from a pair of high-quality boots. You can wear these comfortable shoes to a wedding, a friend’s party, on a date or part of your everyday work attire at the office. Extremely elegant, this shoe incorporates such a distinctly classic style which makes it an instant success with its wearers. Want to know more about the J’s.o.l.e Men’s Oxford Dress Shoes? Have a look at our guide below. The J’s.o.l.e Men’s Oxford Dress Shoes comes in two different designs. Apart from the traditional all black design, which is often the first choice for office shoes, this product is also available in a modish brown exterior. Regardless of your personal preference, both of these designs are extremely sophisticated and either one would be appropriate for any formal gathering. These shoes can also be polished, so even if you have to wear them every day, a light coating of polish will help this model to retain its shine. The overall weight of the J’s.o.l.e Men’s Oxford Dress Shoes is just under 2lbs. Such lightweight construction comes in handy for all those customers who need to wear this shoe for a good amount of time every day because it keeps foot fatigue at bay. The manufacturer has made use of a premium insole inside this product. As compared to other synthetic insoles, this one is much more durable which provides a constant cushioning underneath your feet. In fact, as compared to the average insole on other oxford dress shoes, it is 2 times thicker so it won’t lose its shape after regular use. Then comes the breathable leather lining which not only prevents the seams of this shoe from tearing apart but at the same time, it increases the breathability of the J’s.o.l.e Men’s Oxford Dress Shoes. Another positive impact of this lining is the way it enhances the outer look of this model which is a big plus for the fashion-oriented users of this shoe. To ensure the wearer a comfortable, secure step, the J’s.o.l.e Men’s Oxford Dress Shoes come with a durable outsole. This sole is made of rubber which helps provide decent grip on a number of different surfaces. If you want to look a bit taller inside these oxford shoes, the J’s.o.l.e Men’s Oxford Dress Shoes comes with no less than a 1’’ high wooden heel. This makes them an ideal footwear for those of you with average height, the fact that it is not an exaggerated height makes ensures that even the taller customers can wear this product without any hesitation. One thing which seems to be an issue with the J’s.o.l.e Men’s Oxford Dress Shoes is the fact that they tend to run a bit big. So before ordering a pair of these shoes for yourself, you should carefully check your feet dimensions and then compare it with the sizing chart provided by the manufacturer. Additionally, they also tend to run a bit narrow which might be a problem for some users with wider feet. So keep these points in mind when making this purchase. Available in two different color schemes, the J’s.o.l.e Men’s Oxford Dress Shoes are carefully crafted to serve a wide range of customers. Incorporating synthetic construction, this model comes with a snug, lace up closure along with a latex footbed. For enhanced breathability, it makes use of a premium leather lining and the rubber outsole on the bottom of this product helps you stay sure-footed no matter what the surface. When shoes are such an important part of everyone’s personality, the J's.o.l.e Men's Oxford Dress Shoes can make you look elegant at a very affordable price. 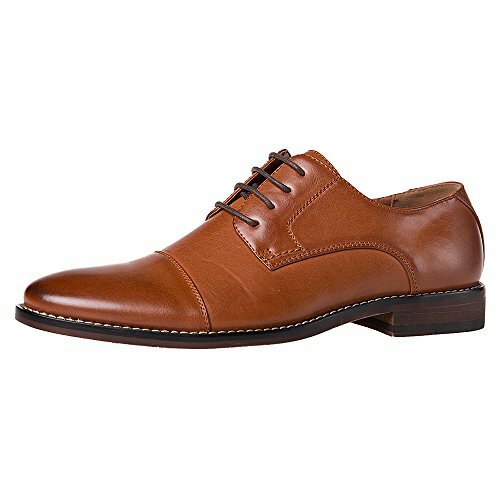 These shoes are ideal for men who want to look sharp without overextending their budget. Furthermore, when it comes in two different designs, you can wear them with a number of outfits and it won’t look out of place. Especially in this price range, this is one of the best dress shoes which you can purchase from today’s market. Some recommended products may use affiliate links. ComfortableDressShoes.com is a participant in the Amazon Services LLC Associates Program, an affiliate advertising program designed to provide a means for sites to earn advertising fees by advertising and linking to Amazon.com. Amazon and the Amazon logo are trademarks of Amazon.com, Inc or its affiliates. Comfortable Dress Shoes Copyright © 2019.